This was seen in how local media would portray the different father figures present in their TV shows and films. Much has changed in the portrayal of fathers in local media. From the bumbling, good-natured father, to the dad who overcomes real-life adversities to be with his child. Okay Ka, Fairy Ko (TV Series 1987-1997)- Human and fairy princess falls in love and has daughter. Vic Sotto plays the humble Enteng Kabisote who lives his life being a real hero rescuing his daughter from evil Luka’s clutches, and parrying his fairy queen mother-in-law’s slights for being a “TagaLupa” (mortal). Tong Tatlong Tatay Kong Pakitongkitong (1998)– “Tong Tatlong Tatay Kong Pakitong-Kitong” is a slapstick comedy movie that follows the exploits of Redford White, Bonel Balingit, and Babalu when they become accidental guardians to an orphan girl. 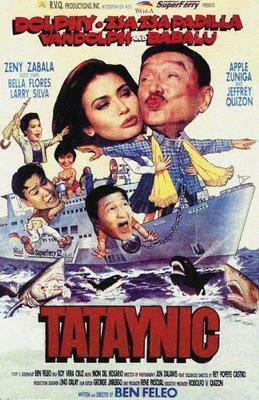 Tatay Nic (1998) – An obvious play on the famous “Titanic”, but has none of the tragedy nor romance of the epic film. Real-life father and son Dolphy and Vandolph Quizon provide non-stop gags plus the token flirtation with beautiful women. Angelito: Batang Ama (TV Series, 2011-2012)- Angelito accidentally impregnated his high school girlfriend and rises to the challenge of becoming a teenage dad. 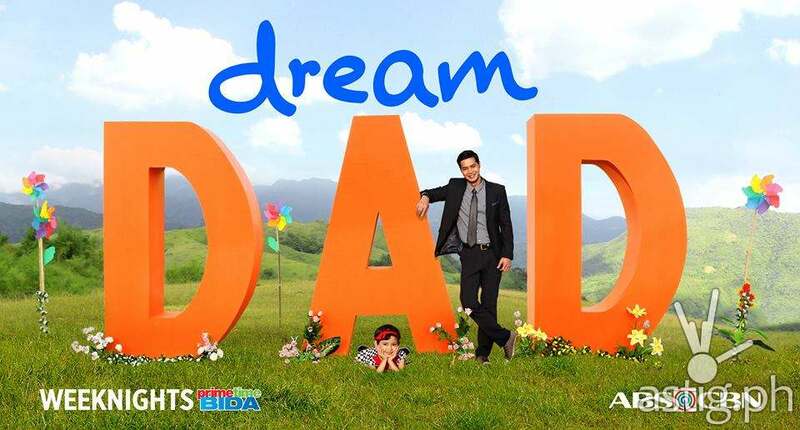 Dream Dad (TV Series, 2014)- Baste is a bachelor who struggles to mend a broken heart, and rise to the challenge of heading his family’s business. In the process, he meets an orphan girl who believes that he is her biological father. The two eventually form an unbreakable bond to the point that Baste legally adopts the child. BUT SO MUCH HAS CHANGED SINCE THEN. IN FACT, FILIPINO FATHERHOOD IS BREAKING AWAY FROM BEING JUST A GENDER ROLE. With more women (51% of OFWs) going overseas to provide for their families, many fathers are left behind to assume roles of both mother and father. These “house-husbands” care for the children, teach them to do chores, help them out with homework, prepare their meals, and the like. This new phenomenon has paved way for a new masculine image for Filipino fathers which includes managing wives’ remittances efficiently, remaining loyal to spouses, attending to children’s needs, and even contributing economically to the family income. THIS HAS PAVED WAY FOR THEM TO START DOING CERTAIN THINGS FOR AND WITH THEIR CHILDREN. Despite the top challenges faced by dads of not having enough time (47%), followed by enforcing discipline (18%), and not having enough money (17%), most fathers still play the roles of buddy and playmate (95%), teacher (91%), and travel companion (87%) to their children. THEY EVEN TAKE THE FAMILY’S LEISURE TIME SERIOUSLY. When it comes to activities, dads influence decisions and purchases that involve what to do on a weekend (79%) and where to go on vacation (70%). They also decide where to eat (65%), which gadget to buy (64%), and which movie or program to watch (58%). Because dads always know where the fun is at! BUT DESPITE THESE OTHER ROLES THEY PLAY, THEY STILL SEE THEMSELVES IN THE TRADITIONAL IMAGE OF A FATHER. Most Filipino fathers still see themselves as a provider for their families (56%). Others also see themselves as disciplinarians (30%). FILIPINO FATHERS ALSO VIEW PARENTING AS A TEAM EFFORT. They believe that good parenting is one where mothers and fathers work together and even Philippine law supports this. In the Family Code of the Philippines, the responsibility of “financially supporting the family should be shared by both spouses”. In this team effort, fathers also want to make sure they do their part so they go to their “Holy Trinity” of friends (57%), wives (55%), and their own mothers (44%) to seek for advice. They want to learn as much as they can because their children don’t only go to mom for advice but even dad. Most Filipino fathers say that their kids usually ask them for advice on day-to-day things (58%), homework (47%), other matters (36%), and even how to deal with their personal problems (32%). BUT THERE ARE STILL SOME THINGS DADS WISH THEY COULD DO WITH JUST THEIR KIDS. Filipino fathers also want to be able to do some things with their children without their mothers around. The top activity that emerged was travel. They see this opportunity as a real bonding experience for them to really show their children the world and get to know them better. Not far after travel they also do such as bringing them out (97%), playing with them (95%), teaching them about things (92%), travelling together with them and buying them things (87%), and even consoling them during their times of need (80%). AT THE END OF THE DAY, FILIPINO FATHERS, JUST LIKE MOTHERS, WANT TO MAKE THEIR CHILDREN HAPPY. The best thing about being a dad is seeing your child laughing, smiling, and getting excited when he or she sees you. THESE CHANGES HAVE BEEN NOTICED BY LOCAL MEDIA AND HAVE STARTED SHOWING FILIPINO DADS IN A DIFFERENT LIGHT. Different local films, TV shows, and even TV ads have started to recognize and showcase modern Filipino fatherhood. McDonalds Philippines “Playtime with Dad” (2014) The ad shows a dad playing fairy godmother, to his princess twin daughters. The ad ends with dad ordering McDonalds delivery for his kids, blissfully ignoring the bewildered stare of the delivery man. BioFlu “Through The Years” (2013) BioFlu depicts an elderly father (probably a widower) who cares for his adult son. Eden “Mothers Day” (2016) Eden reminds us that “mother” is a verb and that anyone who has ever raised a child can be a mother. Nissin Classic Wafer “Dubstep” (2016) Nissin Classic wafer shows a dad and daughter bonding over Nissin wafer, while creating a music video for the mom.